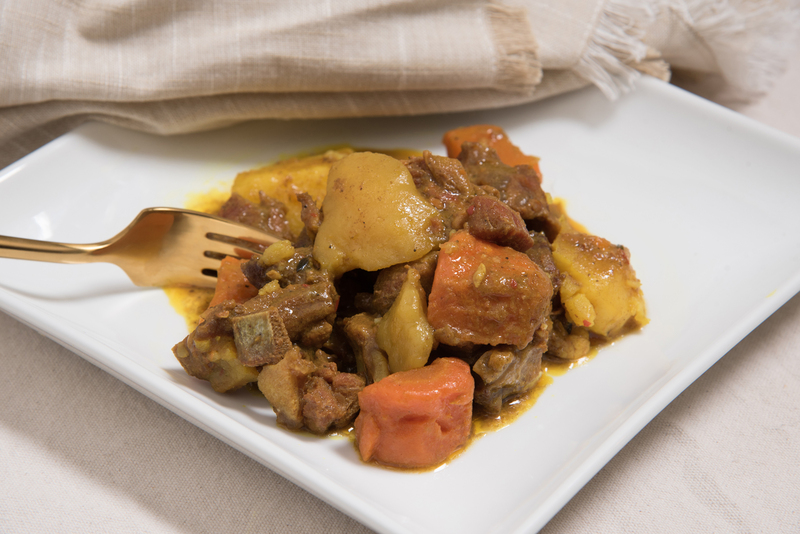 Curry Goat A Jamaican delicacy, prepared with generous chunks of goat meat marinated with our special blend of curry powders for a rich aroma and flavor. Slow cooked to perfection with potatoes and carrots. Medium and large are served with your choice of two sides. Rice is optional.